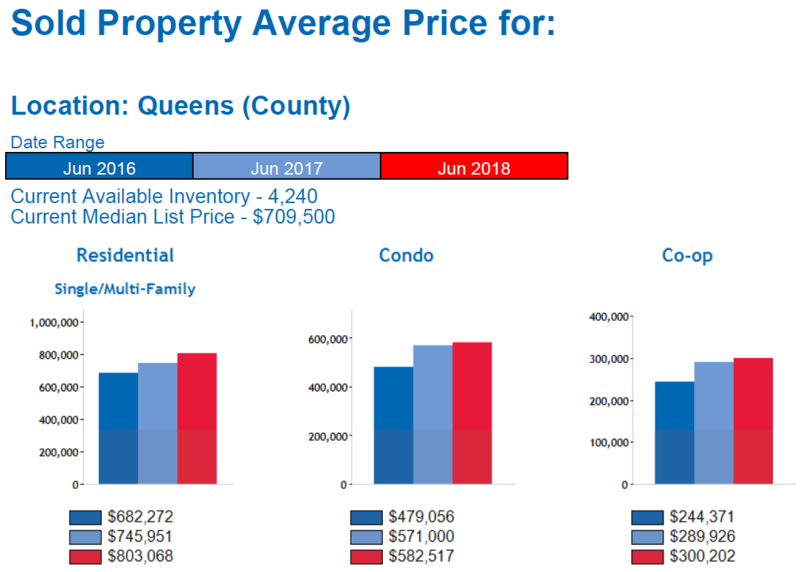 Queens Real Estate Market Report July 2018, provided by the Queens Home Team at Keller Williams Realty Landmark II. Need help? Feel free to Contact Us anytime. Lower home sales, higher inventory, higher prices, and higher interest rates, that’s pretty much the story in 2018. What’s more important to note is the fact that several sub-markets in Queens are experiencing different changes in the market. For example, all of the houses we’ve sold this year in South and Southeast Queens have gone fairly quickly. However, for some of our properties in Northwest and Western Queens have actually been taking longer to sell this year… What this can be attributed to is quite simple, affordability. 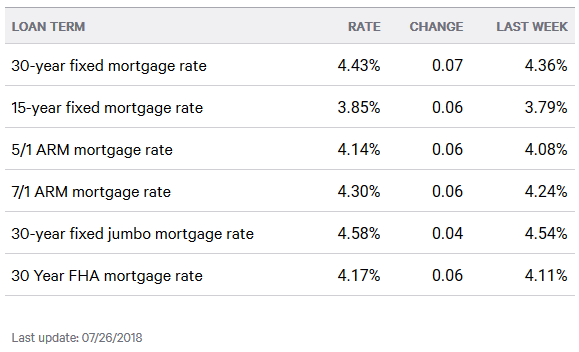 For example, since interest rates started rising this year, we have seen lower turnouts at open houses, less inquiries on our listings, and more nitpicking from buyers. We believe that this is because borrowing money became more expensive this year. Couple that with more inventory, soaring home prices, and stagnating rents, and you end up with a market that may not be able to sustain the price increases we’ve been used to… Overall, homes in the more affordable areas of Queens still seem to be moving and demand is strong for these homes. Multi families priced well are also still in high demand. Single family homes on the high end of the market however, seem to be having the hardest time selling from what we’ve seen this year. And as for coops and condos, they still seem to be moving. Apts vary depending on price, maintenance, amenities, etc so those values are more case by case. In a nutshell, buyers seem to be flocking to all the areas where affordability is high. The Long Island Board of Realtors reported Queens home sales at a rate of approximately 726 homes during the month of June. 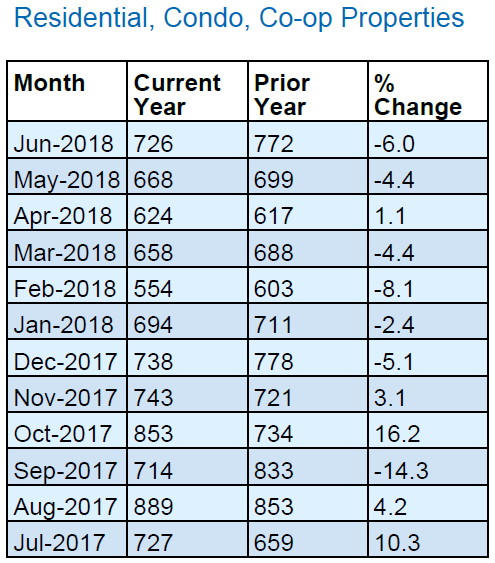 This was an increase of 8.7 percent from May and a decrease of 6 percent from June of last year. 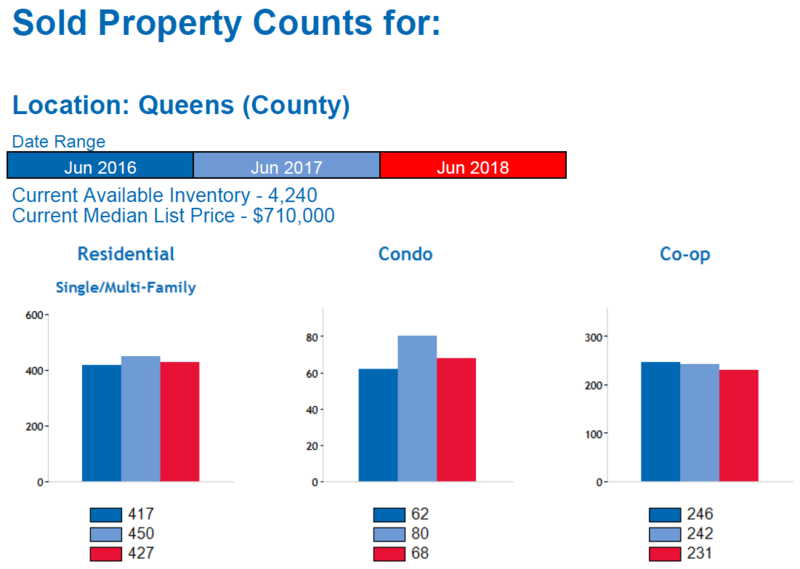 Specifically, our Queens real estate market report July 2018 shows that Residential home sales were DOWN 5.1%, Queens Condo sales were DOWN 15%, and Queens Coop sales were DOWN 4.5% compared to May of last year. Over the last 12 months, Queens home sales are DOWN 0.9%. 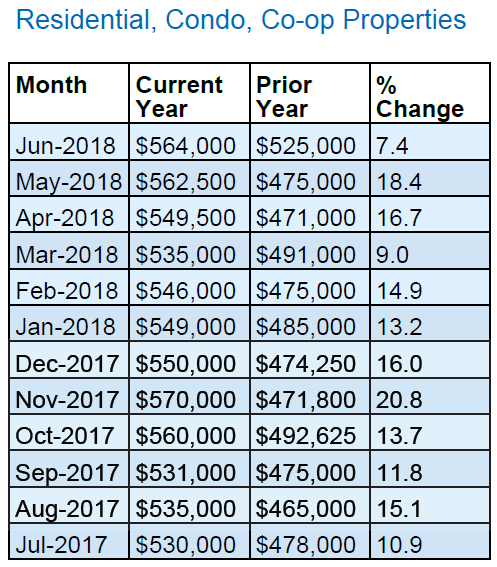 The median home price in Queens rose to $564,000 in June, this is an increase of 0.3 percent from May, and an increase of 7.4 percent compared to June of last year. The median home price has increased by approximately $39,000 since last year. 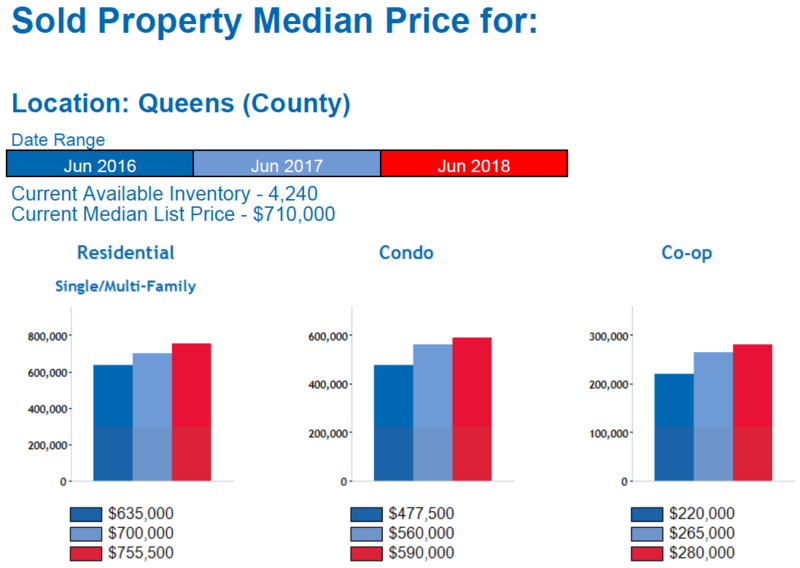 Specifically, our Queens real estate market report July 2018 shows that Queens residential home prices are UP 7.9%, Queens Condo prices are UP 5.4%, and Queens Coop prices are UP 5.7% compared to June of last year. Over the last 12 months, the median home price in Queens is up 14.6%. There is currently a 6.4-month supply of housing inventory in Queens, this is up from the 6.3-month supply we had in June, and up from the 6 month supply we had in July of last year. There are currently 4,213 homes for sale in Queens. This is an increase of 2.3 percent compared to last month, and an increase of 5.4% compared to July of last year when there were 3,998 homes for sale in Queens. Need Help? Schedule a Free Consultation Today!